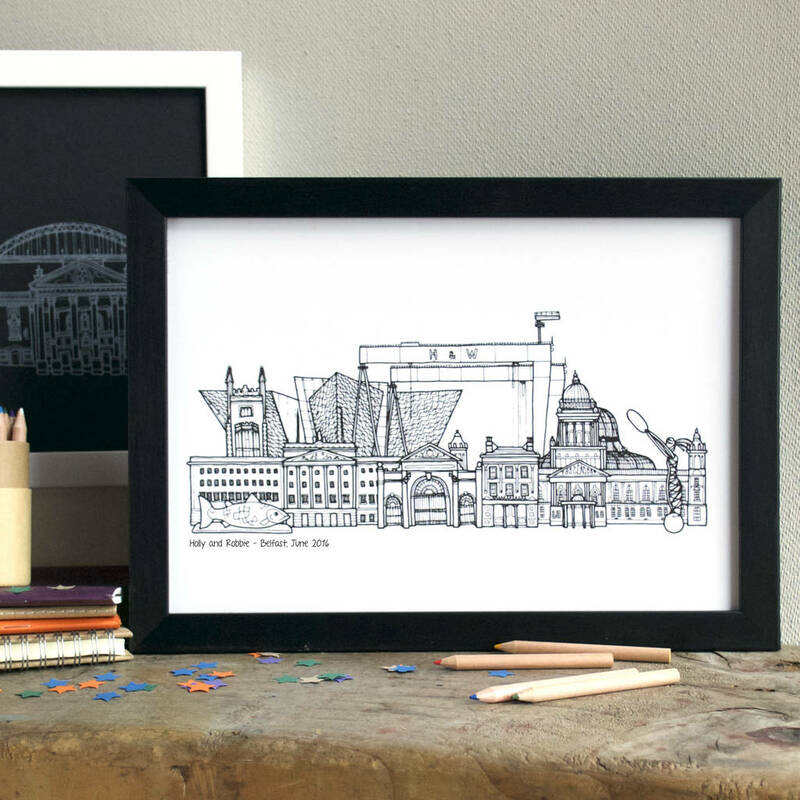 A striking illustration of the city of your choice, personalised with your own wording. 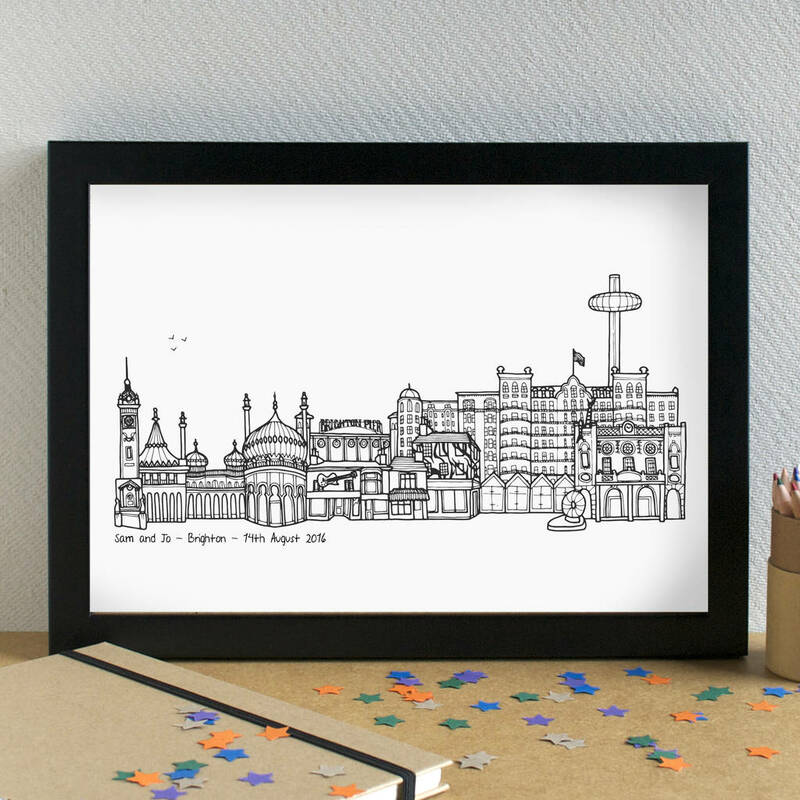 Great as a graduation, wedding or engagement - or why not buy a selection of the prints to document the cities you have lived in or visited? 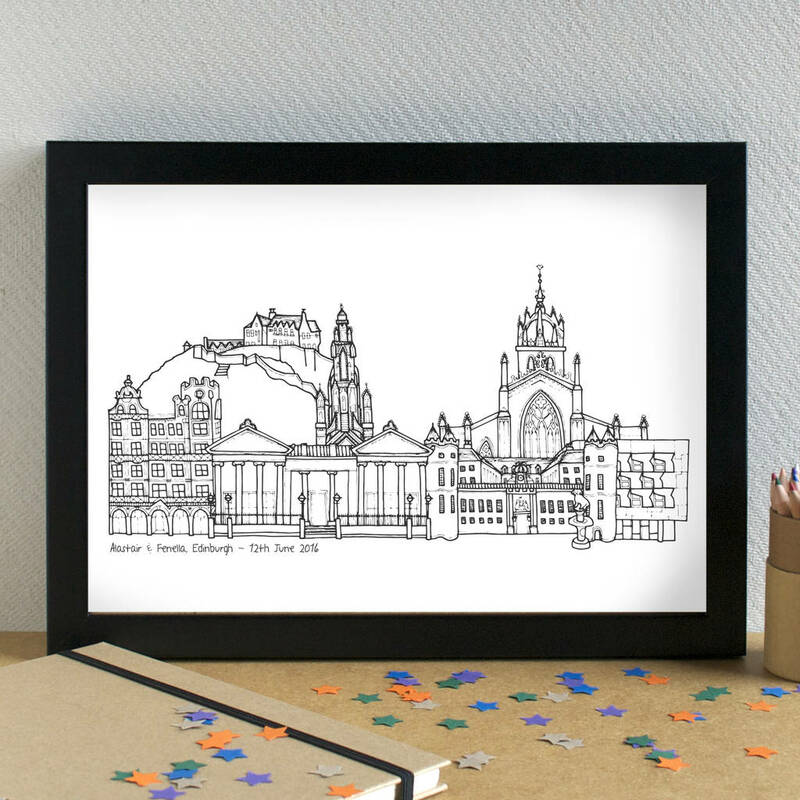 Each illustration shows the most iconic of images for that city - including both the most traditional and the most contemporary of buildings, monuments and statues. I drew each of the cityscapes myself, by hand, using pen and ink. 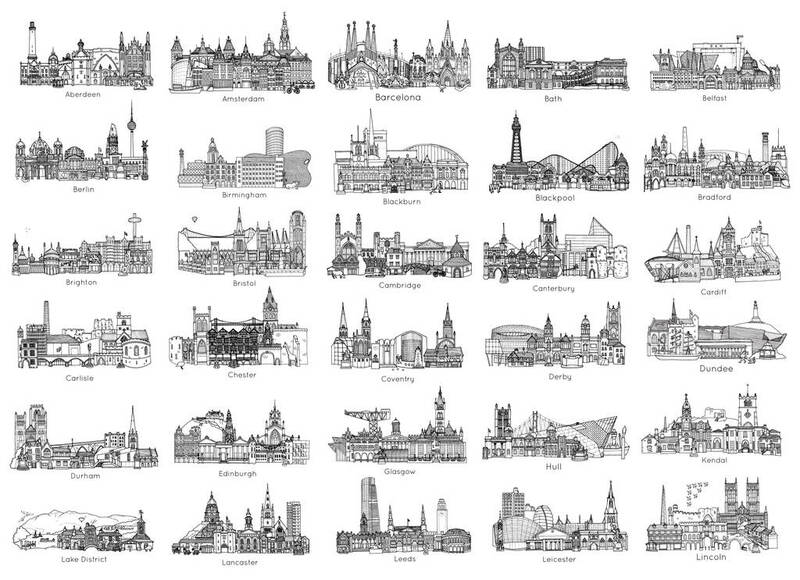 I am in the process of expanding the range of skylines, but at present I am unable to take commissions for cities which I have not yet drawn. 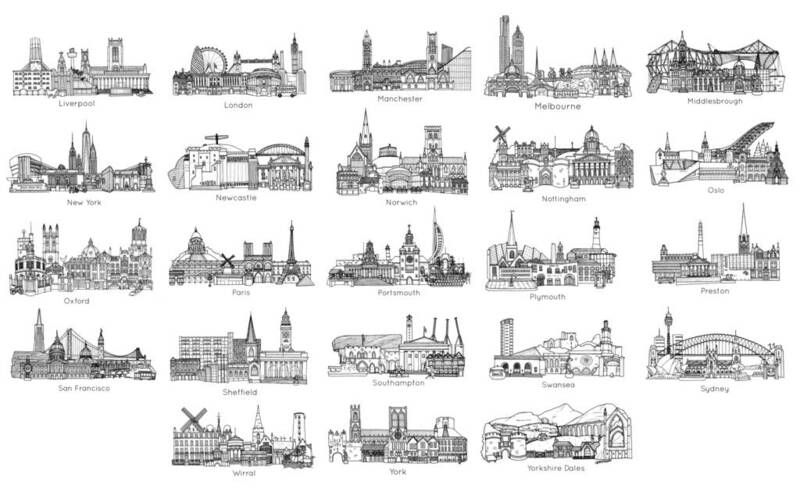 For more information about each of the illustrations (and the landmarks featured in the image) please check the individual listings for the individual prints. 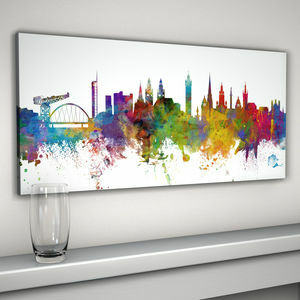 Framing for the standard sized prints is available for an extra charge (for UK delivery only, sorry). 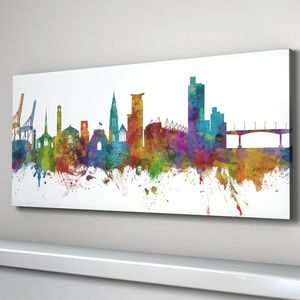 The artwork is printed digitally onto high quality paper. It will be delivered packaged in cellophane, in a hardbacked envelope or rolled in a tube. Frames: white and black options are made from polcore, the white option has a smooth finish and the black option has a slight wood-effect texture; the oak frame is solid oak. The frames are glazed with a quality styrene/acrylic which is not distinguishable from glass when on the wall. It's a safety conscious option, and it greatly reduces the chance of postal breakages. 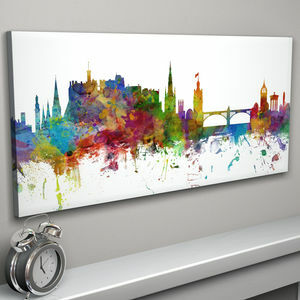 The standard sized print measures approximately 21 x 30cm. 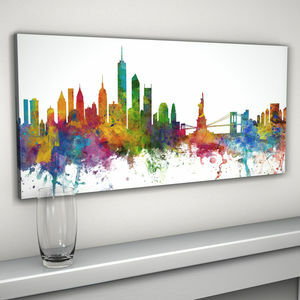 Large is A3 (30 x 42cm), extra large is A2 (42 x 60cm) and extra extra large is A1 (60 x 84cm). Frames (standard size prints only) are as follows: Black and white frames are both 1.9cm wide and 3.2cm deep - the outer dimensions are 32.5cm x 24cm - that's around 13" x 9.5". 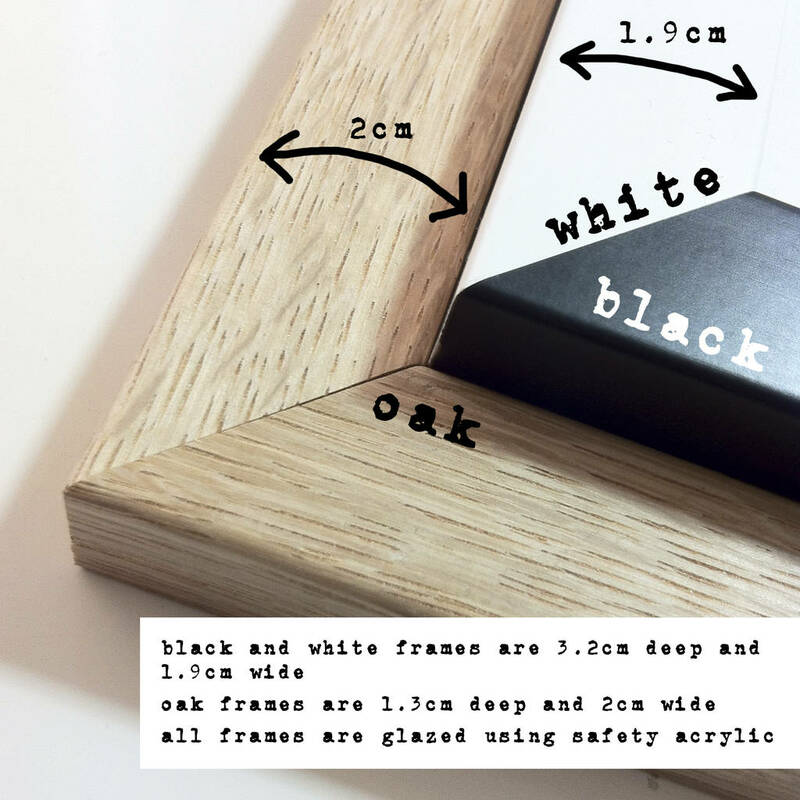 Oak frames are 2cm wide and 1.3cm deep - total size is approx 33cm x 24cm (around 13" x 9.5").